A couple weeks ago I got a text message from Doti. She had a real sweet tooth and didn’t have vegetable shortening. She wondered if you could swap out vegetable oil for the shortening. I thought about it for a minute and didn’t see why you couldn’t, but really wasn’t sure. I was like, well if nothing else, you’ll know for next time :). Later my mom said she’d have swapped out butter for the shortening…. We’ll both know for next time now :). So many texts back and forth and I started bragging about the fact that I had Peanut Butter Cup Peanut Butter Cookie dough at home in my fridge (recipe below). All it needed to be was baked off. I know, I’m mean sometimes. I made up for it though!! So later I asked her if she had her cookies made and she said that she got to the point she needed Baking Soda and didn’t have any. Wade wouldn’t let her go to town just for that so she didn’t know what to do. 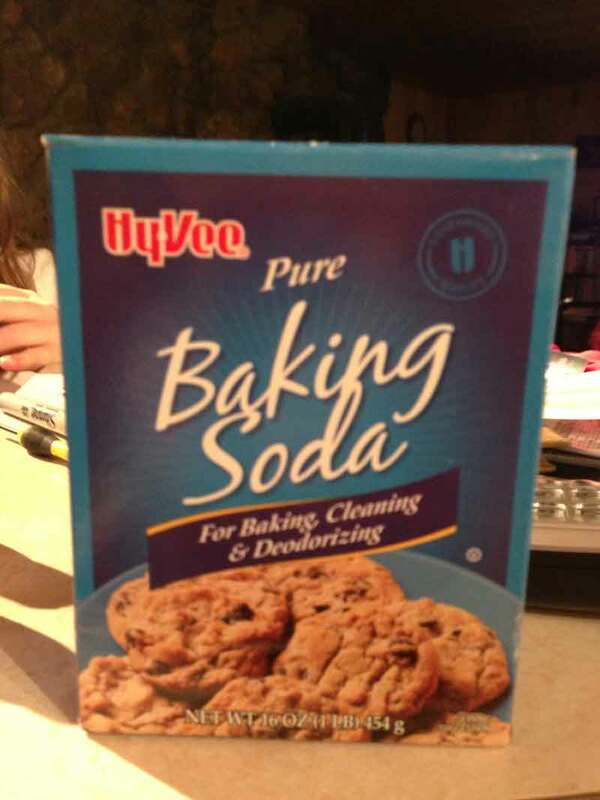 I jumped on line and googled a substitution for baking soda because I remembered reading something about Baking Soda and Baking Powder in Food Network magazine. So anyway if you don’t have baking soda, triple your baking powder amounts and reduce your salt is what it said on line. Mix ingredients together. Shape into balls and flatten with a potato masher. Bake at 350 degrees for 10 minutes. p.s. You still have time to link up for week 2 of the Extravaganza!! This is good to know Nicole! Awhile back my son made pancakes and mistakenly used one for the other (can't remember which) and the pancakes tasted like fish. They were so yucky lol. I did not know that about butter and shortening. Good to know! I love finding substitutes because when I get a sweet tooth I don't want to have to run to the store!